Tracee Ellis Ross stepped out for the Blackish PaleyFest Presentation on Monday night, October 9 at The Paley Center for Media in New York City. The 44-year-old actress was spotted in a black Chanel dress with cutouts which she paired perfectly well with black pumps and cornrows. 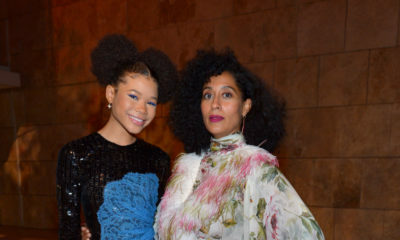 At the event, Tracee alongside the show’s executive producer Corey Nickerson and Teen Vogue editor-in-chief Elaine Welteroth spoke about the show, the power to be who you really are, being biracial and humour in acting. 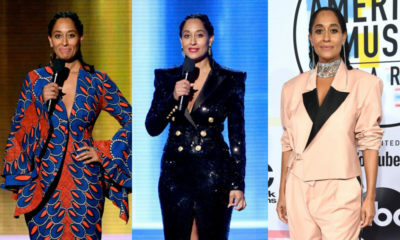 Tracee Ellis Ross pulled off 10 Outfits Made By Black Designers While Hosting #AMA2018!